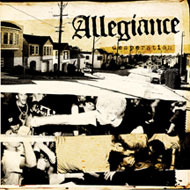 Allegiance was formed in early 2002 as a straight edge band based in San Francisco. 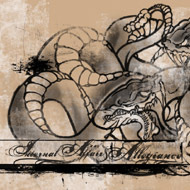 Originally Allegiance was John Eightclip, Duane (SSB), Ross (SSB), and two members of breaker breaker who after recording a demo with the band, parted ways with allegiance. 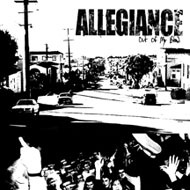 Allegiance played their first show at 924 Gilman street, and were playing out occasionally until Some Still Believe played their last show. 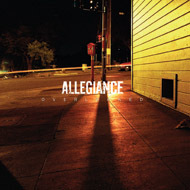 This is when Allegiance became a top priority. 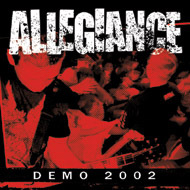 Although stricken with the many member changes, Allegiance has had the opportunity to tour with both Champion, and Embrace Today, and play some great shows with the likes of Madball, Terror, and Over My Dead Body, as well as the San Francisco date of the 2003 Warped Tour. 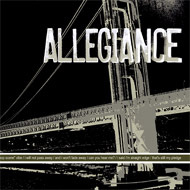 Allegiance seems to have found their niche, and with a solid lineup of John Eightclip, Duane Harris, Ross Trenary, RJ Phillips, and Isaac Fratini. 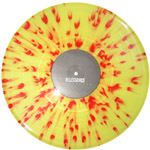 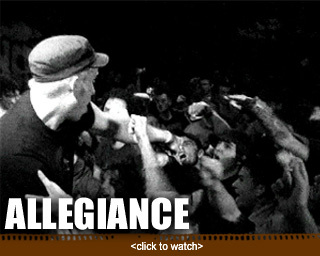 Allegiance will be out suppoting their new record, be on the lookout for tour's in the coming months.